Choose a data cartridge with excellent mechanical durability and performance reliability for your most demanding business needs. Ceramic coating process produces superior output with an excellent signal to noise ratio and a very low error rate. PEN polyethylene naphthalate base film ensures stable high-density recording performance and a long archived data shelf life. Each cartridge features an internal non-contact memory, providing high speed data searching and cartridge management support. 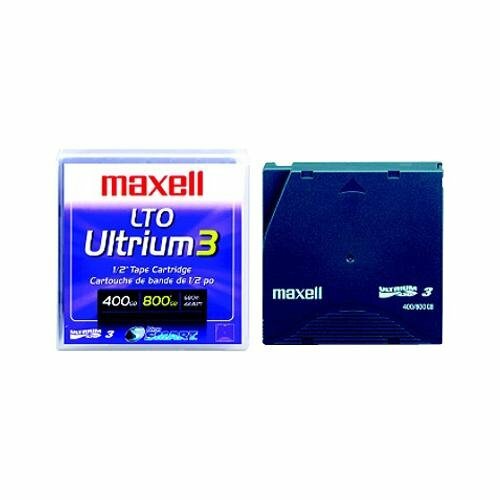 For Drive Type: LTO Compatibility: Ultrium LTO 3 Maximum Native Data Capacity: 400 GB Maximum Compressed Data Capacity: 800 GB.